Oh Eleanore and Colonel Fitzwilliam they are such a cute couple, please let us have a resolution on them, I can’t stand to see her so unhappy and him too for that matter! And what is going on with Jane and Bingley?? Will they have a happily ever after I wonder?? But yay he got the locket back, I had nearly forgotten it! Well done Cass! And now the wedding of Elizabeth to Darcy! ❤️😍👏🏻 Don’t you dare end this story without the wedding! I hope I delivered in the final chapter, Sophia! Come on Colonel! Let’s make it a double wedding !! Fingers still crossed for Jane and bingley to make their match!! Not to mention Lyd…….Sarah and Wentworth. Lyd… Sarah seems to be pretty popular, lol. Oh Cass, this just begs another book!!! Look how we all are in anticipation of everyone finding their HEA’S! I must say you had me in tears (or Bingley did…who knew?) for his talk of second chances to Ly…Sarah and Mr. Bennet and I am sure his own. Poor Jane with her gentle heart so shattered by his not returning. Now he must realize it can’t be so easy to return and expect things to be as they were. I think he has grown by showing he will return with Mary and Katherine. Now Eleanor and the Colonel need to have a little time to ‘court’ seriously and I what about Wentworth? I’m up for a sequel for this one too, as I think we got a hint of it in one of the previous chapters about the twins returning and seeing Lizzy again at Christmas?! Or am I reading between the lines too much here?! Again some “lovely and nice things” in these chapters Cass, brilliant as ever! Yes! I vote for the Richard/Eleanor sequel too! Can we do a poll and cast our votes? 🙂 Please consider putting that story on your list, after your next project of course. Thank you, Cass, for another lovely chapter! I thank that’s wishful thinking, Ruth! It was just the twins assuming, when they break from school for the Christmas season, Elizabeth will be at The Grange so they can see her. Of course, now she will be at Pemberley! I agree, Bungley has grown and he needed to if he was to be worthy of Jane. Oh, Cass!!! This was heart warming. However… just one more (short) chapter? Please, have mercy on us and give us at least a few more. After (almost) 57 chapters of mystery and misery – can you hear the violins in the background adding to the dramatic plea??? – don’t we deserve a few chapters of mush and resolution? So many things yet to be resolved… Charles and Jane; Eleanor and the Colonel; Lyd… oopps Sarah; Mr Bennet getting some energy back; the lovely twins back at Pemberley… Pretty please?!! Loving you all calling her Lyd…Sarah. Seriously, I keep doing that every time I write her, so I just assumed the family would struggle at first! Love that the Colonel went after Eleanor. I am hoping for a triple wedding! Yeah! I hope Lydia finds her HEA with Wentworth. Thank you! Hope you get some of what you want in the final chapter, and hopefully the rest will be covered by the Epilogue! This chapter was fantastic and although this is not Richard’s story, I hope you have some nice moments for him and Miss Latimer. I’m sure going to miss this story. But then, we know that you’ll be writing more. See you soon with the grand finale! I hope I delivered for you with Richard and Eleanor, Jen! Such a wonderful chapter, Cassandra!! I am quite looking forward to the next chapter before the epilogue; I can’t wait to see Eleanor and the Colonel become engaged. I hope that Mr. Latimer will approve the match; the man is sooooooo cantankerous! Than you for another lovely chapter. I hate to see this story end!! Now, Colonel, follow her and tell her that you love her! I am enjoying very much the tying up of the story. I think perhaps the double wedding will be Darcy and Lizzy, Richard and Eleanor. 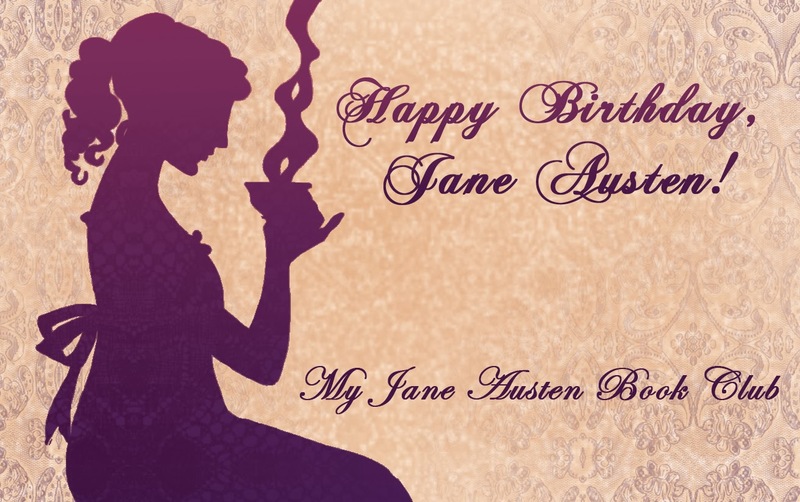 Perhaps the story of Jane and Bingley can be continued, expanded in the future? I must say that in my eyes Bingley has redeemed himself quite a lot by mediating between Mr Bennett and Lydia and retrieving the locket… He shows care and sense. He will still grow into an excellent man. Thank you for this great tale. I agree with the majority. After them taking so long to get there, I too want a wedding and a baby in the epilogue. If you please. Don’t end the story so soon. Not looking for a sequel. Just to experience the HEA we have been looking foward to. Thanks. And one question. How do we know when you start a new story? Do we have to keep checking the website? A lovely chapter again. Bingley really came through. How nice that he could get through to Lydia. Also, good for the Colonel in going after Miss L. And sweet moments between D and L.
A book always seems too short when it is as good as this one, but I understand it must come to an end. Looking forward to the last chapter. Yes, the Colonel and Ly..Sarah should have their happy end. But most stories end with the marriage… a bit more would be appreciated. And Cass! You’re the one to do it! And just to remind you.. T’was the same with your last books! Phantasie is a nice thing just before you go asleep. But seeing it written down – in your style – is … would be … great, gorgeous, unforgettable (whatever the word I’m searching for). Ahhh, another satisfied sigh! After this, I might just have to stop calling Darcy’s friend Bungley and go back to his proper name. I’ve been wondering what the mysterious object was that he’d secreted inside his jacket before heading off to The Grange. How lovely of him to retrieve Jane’s locket from the pawn shop once Miss Latimer told him about it. Perhaps now, Jane might start thinking a little more kindly towards him, especially after he helped Mr. B. and Lyd….Sarah (I couldn’t resist it either!) become reconciled. Loved all of the tenderness between D & E and especially the sneaky kisses on the way back to The Grange. There must have been quite a number of sturdy trees for two miles to take an hour to traverse! My favourite quote from the start of the chapter is “they remained wrapped in the cocoon of their own happiness”. Now we need Richard to go haring off after Eleanor and thoroughly compromise her in full view of her father! I see that the final chapter is now live, so I’m off to wallow in what I hope will be lots more mush! The Lyd…Sarah thing was tricky. It didn’t feel right to move to totally calling her ‘Sarah’ outside of dialogue, so I left it as Lydia so as to be clear, but when people are talking, it seemed natural that in these first few days, they would struggle to not instinctively start to say it! I love that everyone has used it in their comments!! !